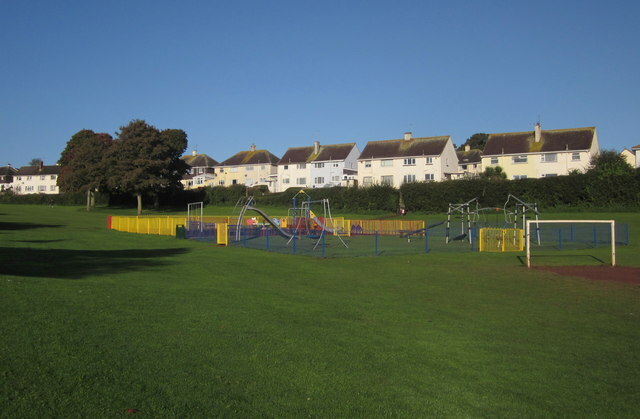 The playground was renewed in 2010, with an extensive range of new equipment. On the right is a goalpost. The semi-detached housing is on Torridge Avenue.